Boing! JP's Toy Shop has been the neighborhood toy store in Jamaica Plain, MA for over 10 years. We offer high quality products created by manufacturers who understand the value of play in a child’s development; customer service by knowledgeable, friendly staff; and a renovated store environment that is safe, clean and welcoming. We value safety, learning, competitive prices, great service, and fun!! Come by and meet our new owner, Kim, who lives just around the corner from the store along with her family. Great to be able to browse in a store to find inspiration for a gift. Really enjoyed our visit to the toy shop. Great selection for all ages and appreciated there being a comfy chair where I could nurse. I would prefer more instructions for the Redeem process. great service, lovely store, awesome selection! a neighborhood gem! A great local toy store! They had a good assortment of toys for babies, children, and even adults. I found just the baby gift I was looking for. Thanks! I love buying local, and BB is a lovely shop for the young and the young at heart! I got something I think we’ll really enjoy. The staff was very helpful! 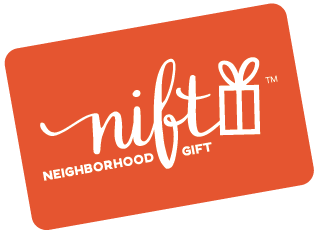 The staff had no problem receiving and processing the Nift Gift, which was appreciated. Great advice for age-appropriate toys & books. Courteous clerks went extra mile finding a chair for this disabled customer so I could sit while winnowing through a selection of books. Both items gift-wrapped and be-ribboned - for free! - and price-tags thoughtfully removed prior to wrapping. Prepare to spend more time than planned, as your inner child will be tempted to try out their puppets! or trains! before alighting back to earth and focussing once more on the actual kid you're shopping for. Mostly for very young kids. The folks at Boing were very helpful and they made it easy to use my Nift card! Lots of cute stuff to choose from. A little pricey to pay full price - I was very happy to have my Nift. Excellent store! I lived by it for years and the nift finally got me inside the store. Fun, great toy store! Love having it in JP! 5 stars. I visit boing often with my grandchildren , they love it and it is part of our routine when they come to visit . Boing has the most wonderful toys- everything of very high quality, many learning toys. The staff there are very helpful with recommendations- taking time and care to ask about the child's age and interests before suggesting items. Boing carries items of a wide price range, so I've always been able to find something just right for the child as well as my budget. It's a small shop, but so well organized and filled with an excellent variety. I hope Boing stays in our neighborhood for a long time!! I love this gift. I enjoyed putting it towards an extra special gift for my son. Plus it got me in the store where I bought presents for a few upcoming parties! Staff was super kind, and the entire store had a great stock! Will definitely be going back. Great toy store and amazing staff! Great JP resource. Wonderful selection of kids toys. Great staff! Great store! Love Boing! Lots of excellent choices at a range of price points. Lots of well-made toys instead of cheap plastic. Happy to support a business like this one that's good for the community. Boing is a wonderful community business. I shop there for gifts for all the kids in my family! The staff is very friendly and always willing to offer (useful) suggestions. Highly recommended. Boing is a great store with something for young and old! Such a cute selection of baby stuff. Great store. Been coming here for years. Highly recommended! I had never been inside before - I didn’t realize they had baby stuff and books. Nice focus on developmental toys. Helpful staff. I like Boing a lot and they have an awesome selection. I can’t usually afford to shop there because it’s pricey. I needed to buy a gift for my two year old nephew and this place had the perfect shark backpack for the toddler to grow into. The employees were very helpful and gift wrapped my present. Would come back if I ever needed children things again! Super helpful staff and a great selection - will definitely be back! I'm surprised by how much they could fit into a relatively small toy store. Boing is a great toy store -- always willing to give you a recommendation and lots of choices - from inexpensive to fancy! Cute you shop with a lot of offerings. Thanks to the friendly and knowledgeable staff! Love the board game selection. A lovely shop full of cool, colorful toys. Staff were very friendly. Very friendly and helpful staff! Just a warm wonderful place to visit, browse and find an interesting array of items for little ones to adults. Very kind and helpful staff! Thanks so much, this was the perfect gift. Such a treat! Such a cute local toy shop. Staff was super friendly and helpful. Loved this, thank you! Friendly staff, great kids' books! The two men working on Saturday, November 4 were amazing and helpful! Thank you! It was so much fun to explore the shelves knowing that I could buy a gift for my granddaughters! The store is full of so many interesting things. I particularly enjoyed the building sets and science toys. Boing is the best for all ages! Great local toy shop! Everyone there is friendly and helpful. But the best thing is the little play area that keeps the kids occupied while you shop. Great place to shop for kids. Boing! is super helpful and full of games and a great book selection. Boing staff is super helpful and they have a nice variety of toys and books! Great selections of toys and games for all ages and we always get suggestions for good gifts. I was pleasantly surprised at their selection of classic and adult-oriented board games! The staff was very cheerful and welcoming, they knew a lot about the products, I am looking forward to going back soon! I loved this shop. They have a ton of awesome looking toys and games! The staff is very friendly and helped me find just what I was looking for. Great place for unique toys! Very helpful staff. Good to have a local business like this. Boing is great! They even gift wrap your purchases! They don't have Thomas trains. Other than that, it's a great store. Great toy selection and excellent and friendly service! Great selection. And always available to give advice. Free wrapping is cool too. A lovely little toy shop! Boing is a fantastic shop and the staff is so helpful! Nice selection of toys: several types of activities for a wide range of ages. Boing! is a great neighborhood toy store. Wonderful store with a large selection of unique high quality toys. Chris always helps me to find perfect gifts! Staff was so helpful. They gift wrapped the gift for me and it was so well done. Thanks for making my life easier, boing! Will definitely return for every child's gift I need. Both the students and myself were very happy with the selection of books we purchased at Boing! Thank you for the opportunity to expand our library. Loved the selection, and the staff was helpful with selection. Boing! is a wonderful, local, fun JP toy store, also with a great selection of books, including many Spanish-language books as well! I will definitely be going back. I love shopping at Boing!. Their toy selection, knowledge about their products and their customer service make it a pleasure to shop there.